Show us where you live (your city). Ash, will be glad if you put photos from the region where you live. Here are a few photos from my city: Hamilton, Ontario, Canada. Hamilton is the halfway point between the Toronto and Niagara Falls. It is one hour east of Buffalo USA. Hamilton is known as Steel Town and has a terrible industrial area. There are two parts to Hamilton. The upper city known as Hamilton Mountain which is quite nice. Then there is the lower city known as the downtown which contains the industrial waterfront. Hamilton is also known as the city of 100 Waterfalls. You will be surprised by the sharp contrast of Hamilton's Beauty and the awfulness of the industrial area. Hamilton is also famous for Barton Street. Barton is the poorest end of town and quite possibly the most dangerous place in all of Canada. The Final Picture is of McMaster University which is also home to a large teaching Hospital. Let anybody that believe's something is impossible be interrupted by somebody else completing the task, for it is only impossible for those who cannot. I'm from Canton Township Michigan population near 100,000. It lies about a 1/2 hour west of Detroit and no we aren't bankrupt and run down. We have some beautiful homes, nice stores, and parks. It's a peaceful community, low crime rate, multicultural, and still some areas west in our township we still have farm land! 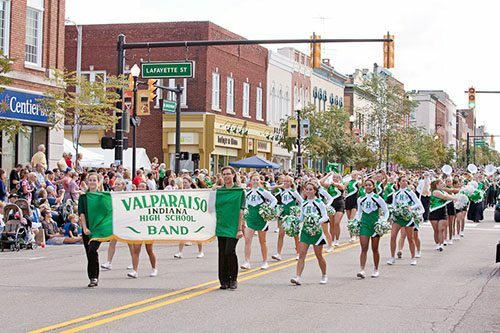 I'm from Waterford, Michigan. I live in a small town in the eastern panhandle of West Virginia now. Hi . I am 128628bozo and I live In beautiful Montreal,Québec,Canada. I will show you some pictures of my hometown soon. I am also a proud french canadian who loves to play Stratego against players from all around the world. If anyone of you coming to Montreal,I will tell you what to do and where to go to get the best out of your trip. Although I live in London, I am from a small village near Coruña called Lorbé (in Galicia, Spain). Lorbé is a small maritime village where it is possible to try a lot of kinds of fish and seafood, being the most famous product the mussels. Below are a couple of links where you can see a bit of both Lorbé and A Coruña. I hope you like them . Very nice videos my friend lolecho. Everybody has so many exotic pictures from their beautiful home cities and towns in Europe. They make me feel relatively plain and simple in comparison. 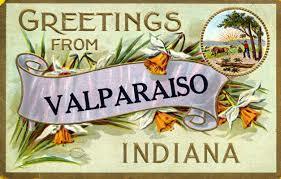 Valparaiso (or "Valpo" locally) is an all-American town of 25,000 in the state of Indiana, which lies in the northern middle part of the United States. 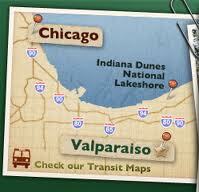 Situated about an hour from Chicago, Valparaiso has two favorite sons and one favorite daughter. Orville Redenbacher is famous for popcorn, and Bryce Drew is the basketball star who helped propel the VU basketball team into the NCAA Sweet Sixteen in 1998. 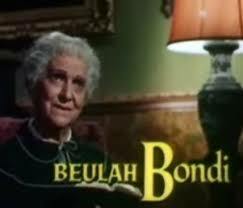 The favorite daughter is Beulah Bondi, a well-known actress in the 1930's and 40's. She played with many of the famous in Hollywood at the time, including appearing as Jimmy Stewart's mother in the 1947 classic movie "It's a Wonderful Life". Do you live on Antarctica Gary? I only see a white world.... And when I look very good I see something like a pinguin ..... but from this distance it is nothing more then a black spot, so maybe I am looking at you! No Antarctica, just from the land of the technologically-challenged. I live about 6 hours north of gary in Michigan. Lol you Europeans are lucky that you have the gulf stream! Gary, you saw his team Chicago Bulls and the big star Michael Jordan? Cliff levingston(chicago bulls), Scott Skiles and Peja Stojakovic played in the PAOK. Dominique Wilkins(Atlanta Hawks of the NBA) played in the Panathinaikos. PAOK BASKET Cliff Levingston incredible dunk. Sorry for the sports but when I saw chicago can not but remember the Michael Jordan. We are from 2 different locations: one of us if from area Rotterdam, the other from area within Eindhoven-Tilburg-Den Bosch. We long to see members΄ our community to show pictures from the areas that live. To keep our memories live! Among them there was someone who probably you have played many games in this site. As a spectator or as a member of the staff? I haven't watched that game cause I was very young back then, and also not a fan of Partizan, but I know about that game. It was very nice gesture from AEK's side! And it meant two important things - message to people here that they weren't left completely alone in those dark times, and two or three hours without bombs over their heads (at least in that area of the city). And who knows what was more important between those two things... Did you notice that AEK's players wore targets on their jerseys? Players from Japan, Belgium, Germany and .... and ......also are invited to share the beauty of their hometowns or homelands! And I said to losermarker to send photos from Australia. wait losermarker. It's been a while in the coming and I don't think D-spy checks in any more, but here are some Australian photo's. We don't have as much history as far as buildings and art goes, but we have wonderful wildlife and scenery that is quite unique. Our big Brisbane stadium the "Gabba" where we like to watch mostly Australia beat the English in cricket, but also hosts AFL games. Ayers Rock aka Uluru is at the heart of Australia commonly known as "The Red Centre"
It is in vast desert country that stretches for thousands of miles, such as the Tanami desert. The heat is amazing, right now it's even hitting 37C in the winter. The lack of water from lesser rainfall makes it very hard for alot of people to live out there so there are only a few stations. King Brown, one of the worlds deadliest and can grow up to nearly 10 feet. A bite from even a small snake could kill you within 20 minutes. Sorry for the wait . I'll add some more later with some photo's of the cities.